At some point in your life, someone has probably shared with you a little nugget of wisdom about how our nose and our ears never stop growing. You might then look around and see a bunch of senior citizens and notice that, in-fact, their facial appendages are slightly larger than their younger counterparts and believe this fact to be true…but is it? The truth is that “Yes”, as we age, our nose and our ears do get bigger, but not because they are growing. The real reason is a common scientific force known as GRAVITY. 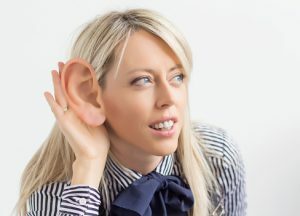 You see, our nose and our ears are made of cartilage and while many people mistakenly believe that cartilage never stops growing, the fact is cartilage does stop growing. However, cartilage is made of collagen and other fibers that begin to break down as we age. The result is drooping. So what appears to be growth is just gravity doing its job. Our noses and our earlobes sag and become larger. Adding to the misconception is what happens to other parts of our face. While our nose might sag, our cheeks and lips actually lose volume, making everything else look comparatively larger. Unfortunately, aging – and gravity – are both unavoidable. Our only defense against this natural occurrence is finding the fountain of youth or moving to the moon. This entry was posted in Fact Friday, Health by Michael Hinck. Bookmark the permalink.